Waller Creek Boathouse is a partnership between the City of Austin Parks and Recreation Department and Austin Rowing Club. 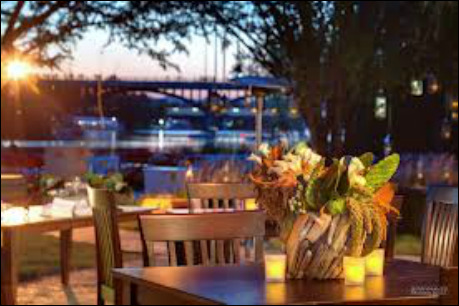 Located in the heart of downtown Austin overlooking Lady Bird Lake, Waller Creek Boathouse is a short walk from the Convention Center, local hotels, and restaurants. The boathouse is the home of Austin Rowing Club, Congress Avenue Kayaks, Rō Fitness, and ALTA's Cafe. Visit the partners page to learn more about what you can do at Waller Creek Boathouse. Waller Creek Boathouse is located on the Hike and Bike Trail at 74 Trinity, one block South of the Convention Center. The boathouse is within walking distance for those staying in the downtown area. Parking for the facility is located at 600 River St. (Mexican American Cultural Center) or street parking is available. No public parking is available at the boathouse. The Waller Creek Boathouse opened in 2012. It is owned by the City of Austin and managed by Austin Rowing Club. ARC was founded in 1981 and has been a staple of rowing in the community ever since. Due to the construction of the Waller Creek Tunnel, the old ARC boathouse had to be demolished, and the existing Waller Creek Boathouse was built to replace it. Since the new facility was built to be a true community center, it has allowed other businesses to join ARC in the building to widen the appeal to the Austin community.